For me, participating in the American Made Brand Blog Tour was a blast. It really got my creative designer juices flowing and has pushed me onto designing more. You could become a designer too. You could have your quilt displayed at the International Quilt Market and Festival in Houston this fall! You could become insanely famous!!!!!! Ok so maybe not that last part. But you never know where one quilt design will lead you. 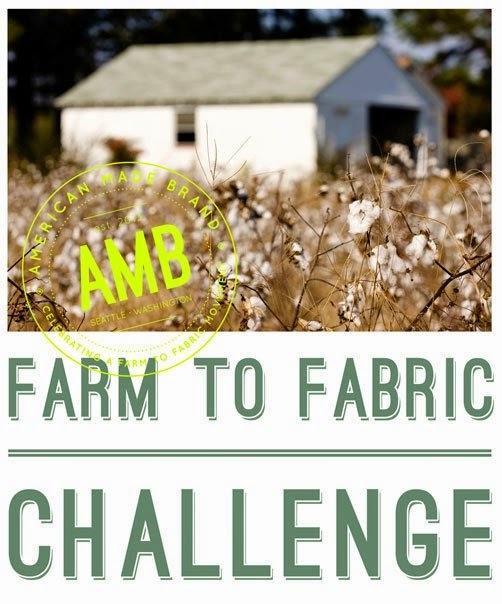 All you have to do is to enter American Made Brand's Farm to Fabric Challenge. You design a quilt made exclusively with Clothwork's American Made Brand fabrics and submit your idea by August 15th. Notifications will go out by September 5th as to which quilts are accepted and they are due in Houston by October 1st. If you've ever wanted to have one of your quilts, something that you designed and then made reality with fabric, in a prestigious show now is your chance. Submit your entry today! All the details can be found here. American Made Brand wants to spread the word about this fabulous challenge far and wide and I'm more than happy to help and just for doing so, they are sponsoring another giveaway for one of my readers. 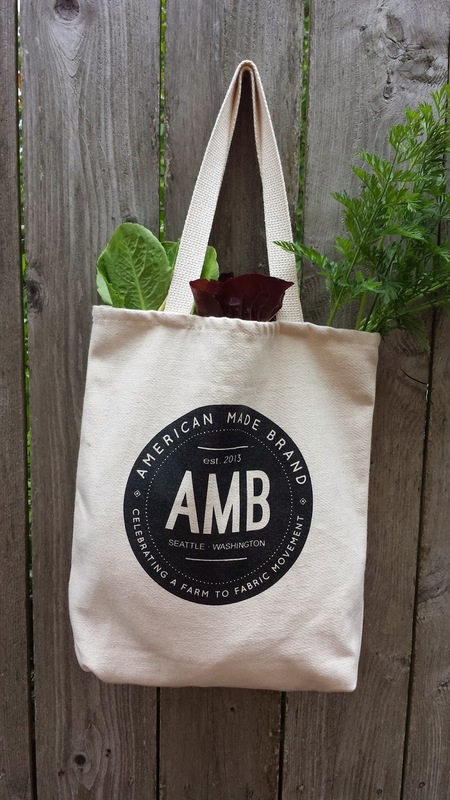 To the winner they will send this great American Made Brand market tote, sans veggies unfortunately. To get your chance to win, I'd like for you to help spread the word about this Farm to Fabric Challenge too. For each shout out on your own blog, Facebook, Twitter, Instagram and any other social media site that I can't think of at this early hour, you will get one entry. Plus anyone who is submitting a quilt design to the challenge gets a bonus entry. In (1) comment each, just tell me all of the entry possibilities you are doing. The giveaway will close at Midnight, Monday July 28th and the winner will be announced on Tuesday. Let's light up the interweb about this fabulous opportunity. If you've ever had big designing dreams, this could be your moment. Hello another great giveaway. I posted on Facebook. Hmmm...I've been wanting to get some of theses fabrics. Wonder if I have time to put something together for the challenge? I shared your blog with a dear freind. Hope that everyone who gets a chance will use the brand well. I love that bag and I have a use for it. Please enter me!